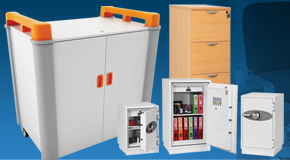 For over 40 years the Hygiplas brand has supplied the catering and hospitality, food manufacturing and food processing, and bakery industries with high quality food grade containers, shelving, racking and utensils. 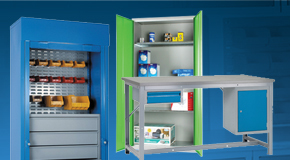 Over the years the range of Hygiplas equipment has expanded to include plastic trucks and food handling containers to assist with food preparation as well as food and ingredient storage applications, but the high level of quality when it comes to products and service has always remained. 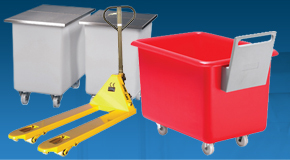 A light in weight yet incredibly robust range of bottle skips designed for use within demanding environments such as restaurants, commercial kitchens, pubs, bars, and clubs and at events. 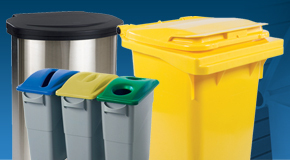 The Hygiplas bottle skips are manufactured using rotational moulding, a process which ensures a seamless and watertight, one-piece moulded container that is ideal for handling many different materials including empty or used glass bottles. 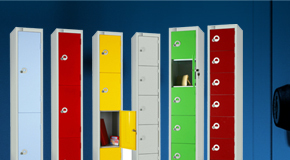 The bottle bins are designed to fit into small, narrow spaces and can save on huge amounts of storage space. 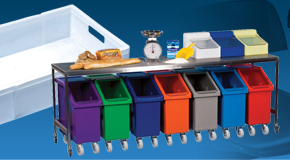 Perfect for use behind bars and within kitchens the plastic skips can fit easily under standard height tables and are also extremely manoeuvrable. Each of the 5 different sizes of bottle skip incorporate a quick-release stacking feature that enables the plastic trucks to be stacked and nested to a degree without the risk of them wedging inside one another. Favourites for many years throughout the bakery industry as well as within food factories the Hygiplas ingredient bins provide a hygienic, long lasting, durable, food grade solution for storing and dispensing dry food stuffs and ingredients such as flours, spices, grains, cereals, dried fruits, nuts and much more. Well known for their easily cleaned designs and incredibly manoeuvrability the Maxibin, Midimaxi and Supermaxi are impeccable solutions for food handling and food storage. 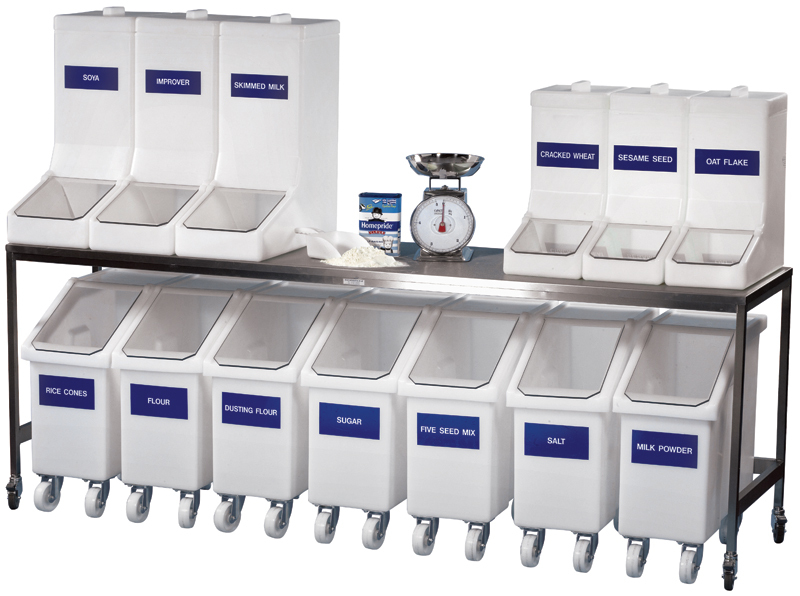 Easy to use, each of our Hygiplas ingredient bins and ingredient dispensers include a plastic drop-on lid and a clear plastic flap. This flap can be upgraded to stainless steel if required and provides an excellent means for filling and dispensing from the food grade containers. 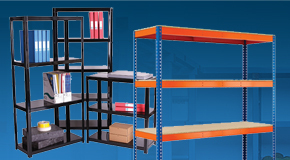 Plastic stacking trays and food handling containers are often used throughout the bakery trade for handling food ingredients as well as baked goods, confectionery products and bakery products. 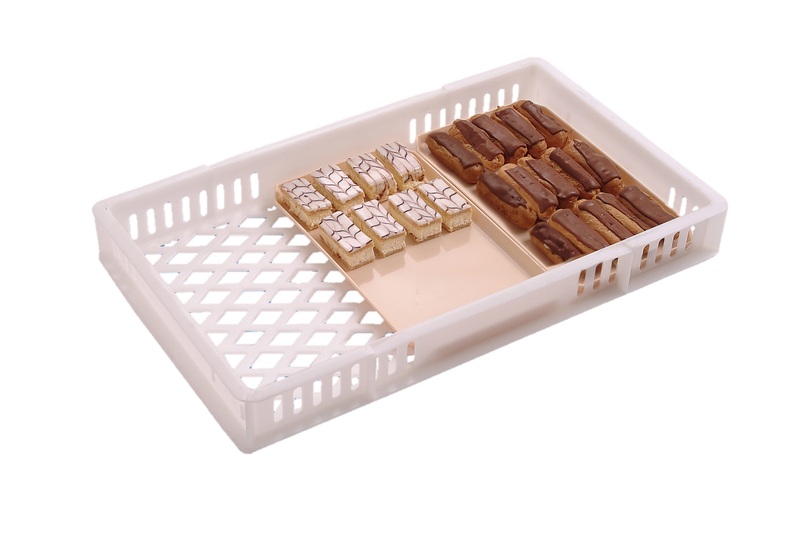 The Hygiplas bakery trays are produced using food grade plastic materials and provide easily cleaned designs that also help to save on space. Each of the bakery trays incorporates a cross-stacking feature that allows them to stack on top of one another regardless of the model. 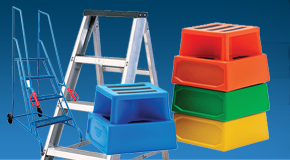 Available in a range of colours to assist with colour coding the bakery trays are also compatible with a number of bakery trolleys and plastic dollies, helping you store and handle large quantities of the plastic stacking trays with ease. Ingredient trucks provide an excellent solution for the handling and storage of bulk amounts of food produce and food ingredients. 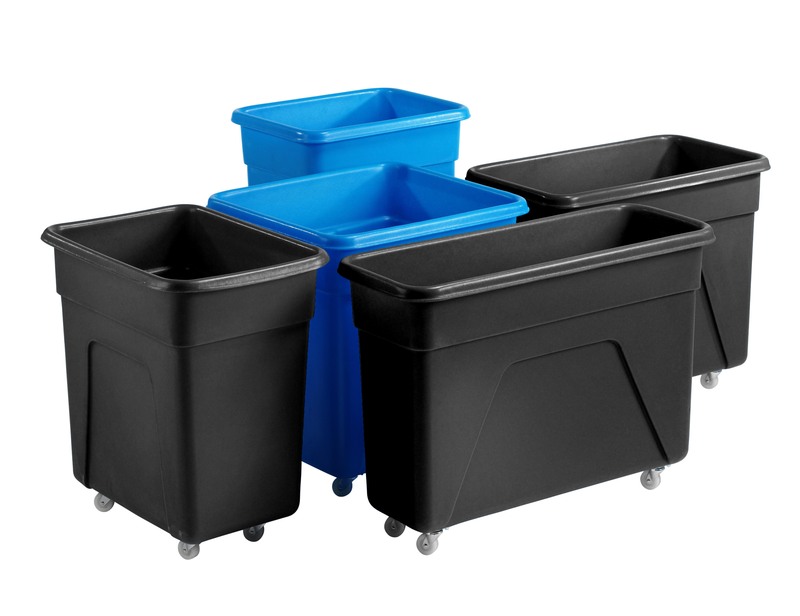 The Hygiplas tapered trucks include 8 different sized plastic container trucks that are manufactured using a rotational moulding process and are impeccably hygienic. Produced from food grade materials the tapered trucks are seamless and watertight, proving to be incredibly robust one-piece mouldings that are easily cleaned. 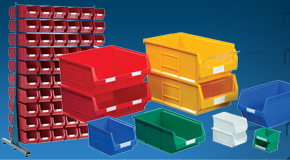 Available in a huge range of food approved colours these ingredient trucks are ideal for colour coded practices and can be supplied with optional drop-on plastic lids to help protect and cover their contents. 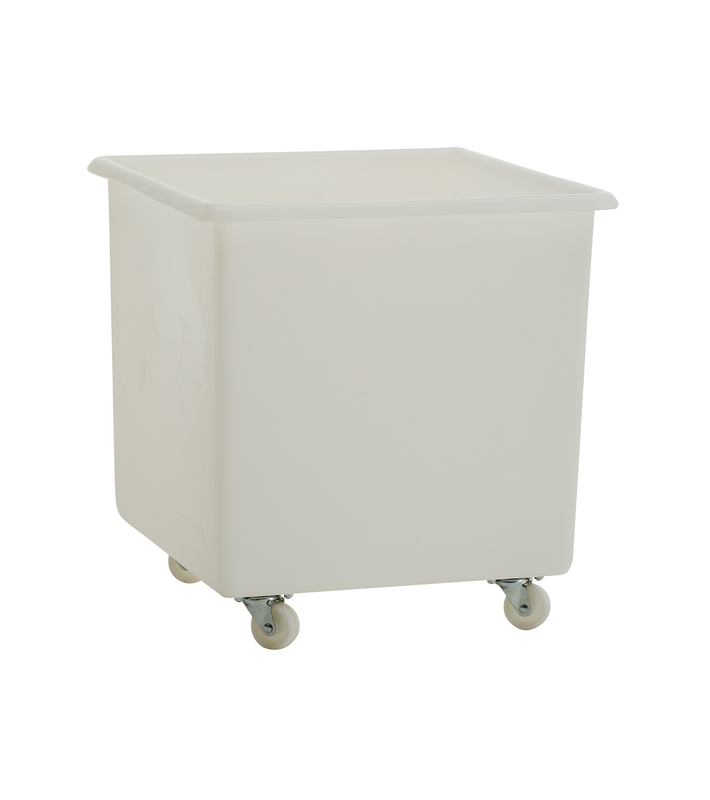 The tapered trucks are often referred to as flour bins or dough bins within the bakery industry as they are often used for storing bulk quantities of flours or dough as it proves.